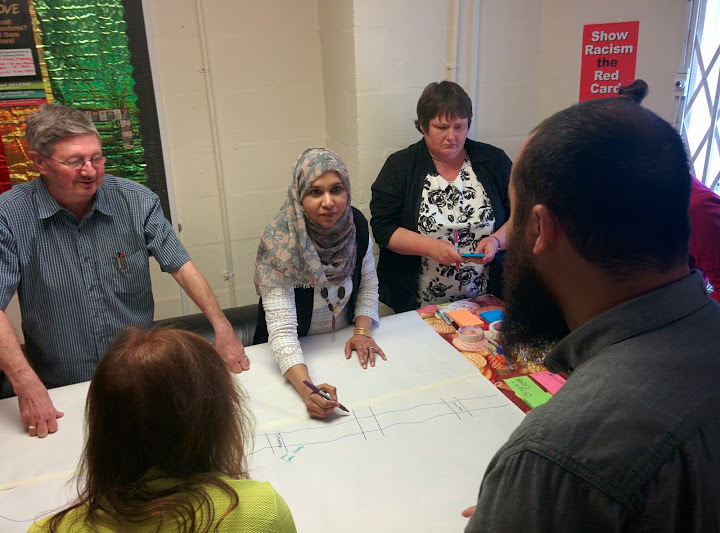 On 7th May 2015 the Strong Communities Healthier People initiative (SCHeP) instigated its pilot participatory research capacity building initiative in the Butetown, Riverside and Grangetown Communities First (CF) cluster area of Cardiff. 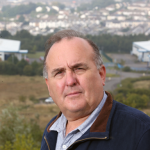 Strong Communities Healthier People (SCHeP) is a Cardiff University funded initiative which is experimenting with the use of co-production and action research for developing sustainable approaches to community engagement, development and consultation in Communities First areas. 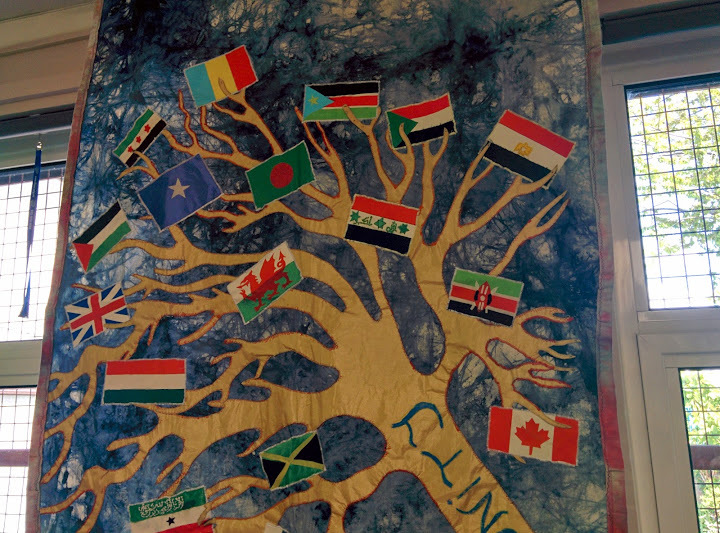 The aim of the programme is to work with CF teams and communities to develop resources and capacity in the target areas by supporting the development of ‘peer researchers’; community members with an interest in and the ability to instigate a co-productive approach to research and community development. The peer research programme will serve to train, nurture and support these peer researchers through high quality, formally accredited training which they will utilise as researchers in their specific project, this training will also be of tangible value to future pathways in relation to education and employment. 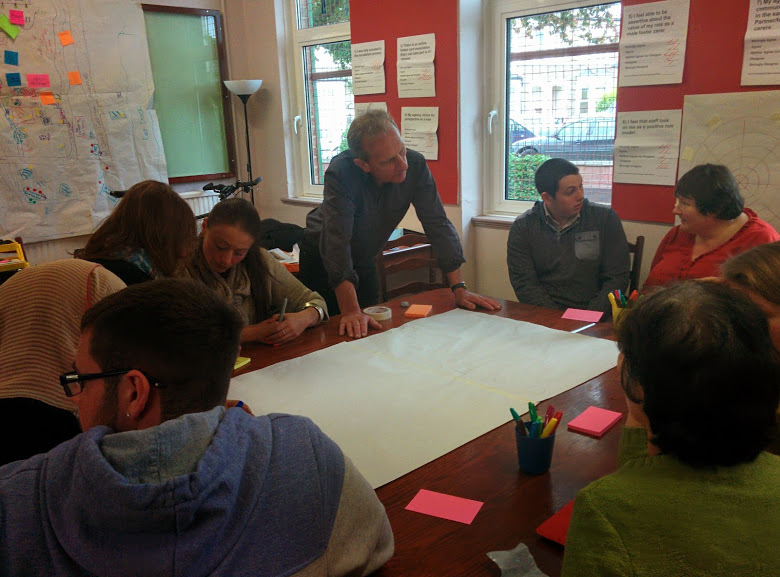 The capacity building participatory research initiative was developed following consultation with members of the CF team who identified that all too often in community development and within the Communities First programme workers and community activists and members are so focused on doing things and delivering programme targets that the reason why they are doing things or whether they are being effective is sometimes lost. The purpose of this initiative is to give participants the knowledge, skills and confidence to build consultation and co-production techniques in to their day to day practice. Using co-productive and action research approaches this programme brought academics, community development consultants and those who live and work in the communities together to explore how they can work together and jointly improve capacity for developing community initiatives that are embedded in and co-produced with those communities that they are aimed at helping. The approach developed through this initiative rejects the notion of academics or so called “professional experts” coming in to the community and imparting their expert knowledge to community members and workers but rather is aimed at celebrating different forms of knowledge that all the partners bring to the programme and recognise that research in its theory, practice and impact can be deeply enriched through the integration of everybody who is involved in the process bringing their own specialist knowledge in a truly participatory approach. The peer research programme consists of five units which are delivered over five separate days of training. The units have been designed to be flexible in the approache used and the main requirement for participation in this course is a desire to engage with meaningful community development work. No specialist prior knowledge or literacy or language skills are required as all knowledge is equally valued in this approach. The structure allows for experts from both university and community to work together and continually develop and refine the approach to training based on the experiences and needs of the participants. All modules and sessions are held in relevant and suitable community based settings and focus and revolve around issues that are of concern to the communities that are involved in their production. 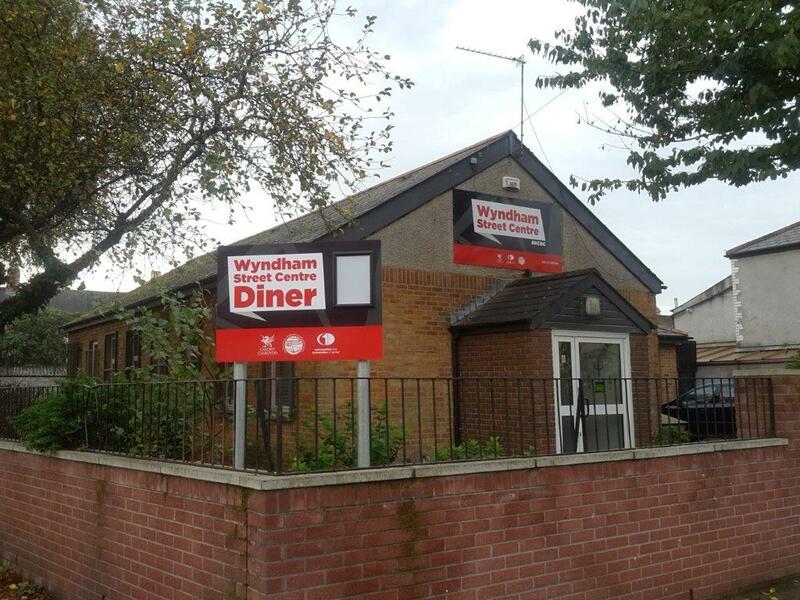 As an example of the approach this particular initiative concentrated on the use of a specific community setting, The Wyndham St Centre (pictured above). This centre had previously been used for various community activities but due to recent changes in funding arrangements much of the previous activity had been curtailed. As a resource the CF team felt that it was not being utilised as much as it probably could be. During the first two days participants were introduced to the theory and practice of participatory consultation and asked to consider the ethical ramifications of their actions and consultation. 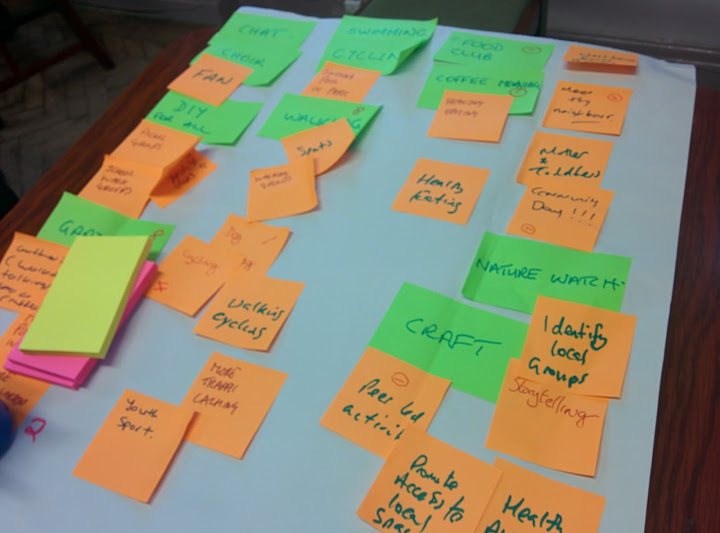 On day three and four of the initiative the group put into practice what they had learned in the previous two days by using their newly developed skills to design and implement a consultation exercise with the community. 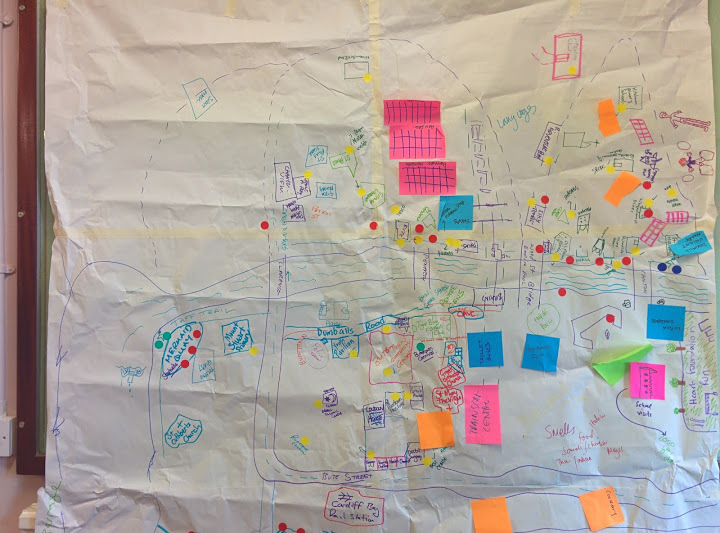 They met with community groups and individuals and used structured consultation and prioritising methodologies to explore with the local community various possibilities for activities that could be developed and delivered in the centre. This consultation will be used to prioritise the many ideas that were generated by the community and then formulate a reporting exercise that can be fed back into the community in order to evidence that people’s voices have been listened to. This in turn can contribute to the Communities First community involvement plan and frame the consultation within a theoretically and methodically robust model . A total of ten participants have taken part in this pilot community consultation and the feedback has been very positive with many reporting how it has helped develop their confidence in conducting community consultation. As this was a pilot project we are going to use our experiences in conducting this exercise in partnership with those who have taken part and third sector organisations such as Participation Cymru and the Communities First Support Service to review and refine the approach and we are hoping to run another initiative along similar lines in North Merthyr Tydfil in the coming months. 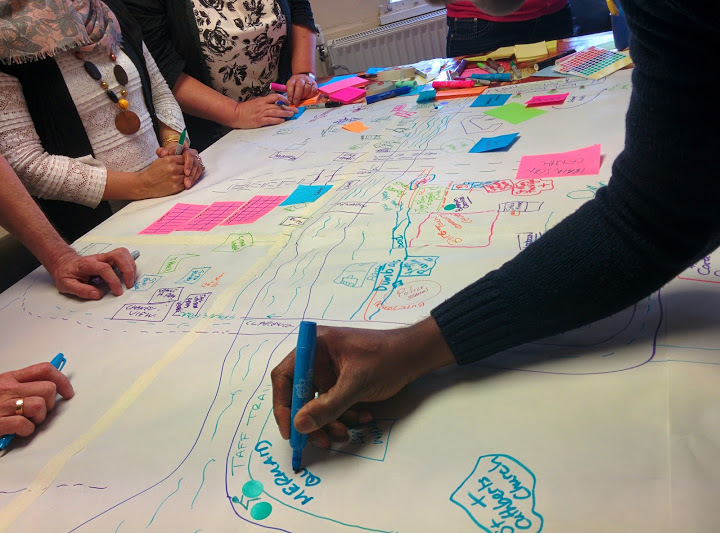 Our hope is that we can develop a model of community engagement and consultation that can be rolled out in to other CF cluster areas that can bring community members, community development workers and academics together in a participatory approach to co-production in community regeneration.